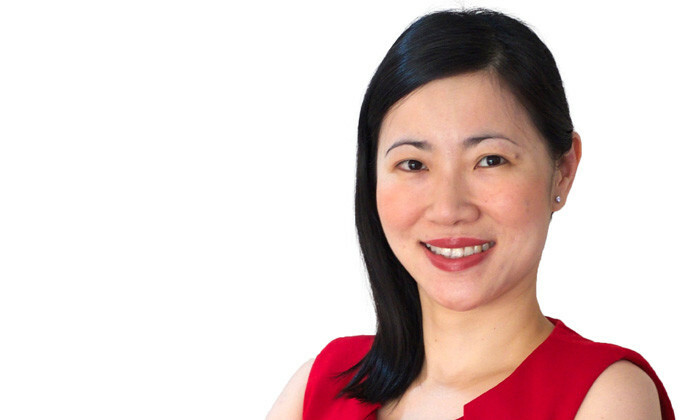 When given the opportunity to intern in talent management to design and deliver an English language course, Adele Png, head of talent acquisition for ASEAN Pacific at Philips, knew her career lay in helping people succeed. Read on to find out her ideas on merging talent acquisition and management, in this conversation with Akankasha Dewan. What encouraged you to take up a career in HR? My first HR job was as an intern in talent management, but it wasn’t an ordinary admin-heavy internship. My manager was very progressive, in that he thought interns were capable of doing much more challenging work, and he gave me the job of designing and delivering an English language course for employees with non-native English capability. This was a big challenge for me. Firstly, I hadn’t covered my training modules yet as I had just completed my first year, and secondly, I was there to learn about the workplace, not teach at the workplace! I enjoyed the experience and successfully delivered the training – eventually winning an award at school. It was at that point I realised I had a flair for HR, and felt it was a career in which I could help people succeed. How do you think the HR function will evolve in the next five years? Projecting what I observe now, I think business pressures will force organisations to run more efficiently across all functions, including HR. There will be a growing trend to move day-to-day HR functions into a shared services model, or to lower-cost countries. They will also invest in scalable systems that provide managers with more self-service type HR functionality. Expectations will be higher for HR to deliver more value and return on investment, and enable the business to be more successful, for example, workforce planning will be critical. HR will need to have a deep understanding of business strategy and apply this across organisational design, rewards, talent acquisition and talent management. There will be more emphasis on making decisions based on HR analytics, so real-time data and analysis will need to be available, which will also be used to measure HR’s ROI. I think more organisations will also see a benefit to the merging of talent acquisition and talent management functions. HR will also be expected to think more out of the box, learn new technologies and develop new practices. There will be a growing trend to move day-to-day HR functions into a shared services model, or to lower-cost countries. Based on your experience in HR to date, what do you think can be done better within HR? HR should think of themselves as a business within a business – and run it that way. I have met HR practitioners at Philips that came from leadership roles in the business, and they have a different way of applying HR concepts to enable the business, and deliver ROI. Another way is to have an integrated approach to talent – to align rewards, talent management and acquisition. For example, considering “build versus buy”, and ensuring we consider affordability and competitiveness before we make decisions on which approach to take. Which HR function do you like best and why? I enjoy both talent acquisition (TA) and talent management (TM). In TA, I get to work with the business, understand its strategies and devise TA strategies. I derive satisfaction when I see my team and myself successfully placing someone in a role he/she thrives in. I also enjoy TM because I see how important its aspects such as performance management, succession planning and organisational design are to the optimal running of an organisation. One, always bring others with you on the journey, success isn’t success if you accomplish it alone. Two, try to look beyond your role, never immerse only in the day-to-day, which is important for now, but think about how we could do better, be more innovative and relevant. Third, try to adopt a “helicopter view” and to always strive to add value in whatever you do. Can you describe a regular workday at your company? I don’t have a regular workday, it usually has elements of brainstorming and troubleshooting with my team, challenging my manager (which he welcomes! ), attending meetings with hiring managers, and my peers here and from other regions, and interviewing candidates. Try to look beyond your role, never immerse only in the day-to-day, which is important for now, but think about how we could do better, be more innovative and relevant. Is there anything you feel HR can do better to play a bigger role in organisations? I would reference the differing school of thought in product development, that is, a product-based approach versus needs-focused product creation, i.e. creating products that meet an unmet need. Assuming HR has delivered well on foundation services such as payroll and leave administration, HR practitioners could do more to build credibility by better understanding the business, creating synergies between functions, providing consultation, challenging the status quo and creating HR solutions that meet a relevant business need, that even the business might not be aware of. For example, at Philips, we collaborated with local universities to tap into the natural, unbridled creativity of the students, and generate new business ideas. This initiative was well-received by the business, and it was a win-win for the students too, as they garnered good business experience through close interaction with senior Philips managers. Concerns over jobs shortfall in British construction and healthcare sectors..
Companies with a boss nearing retirement age are less likely to fight off a takeover bid. Do you know why?..